Win a $50 gift card to Teachers Pay Teachers! Would you like to win FREE money to spend at Teachers Pay Teachers? How about a chance to win one of three $50 TPT gift cards? Saturday, October 29th - Tuesday, November 1st there are three separate store hops, hosted by Spanish teachers on TPT. Look at the banner in my store which contains a letter, record that letter, and collect the other letters by hopping to the next shop. Once you have collected all 7 letters, unscramble the word and click on the raffle link to enter that word for a chance to win! There are also two other Día de los Muertos store hops that you can follow the same process and enter as well! 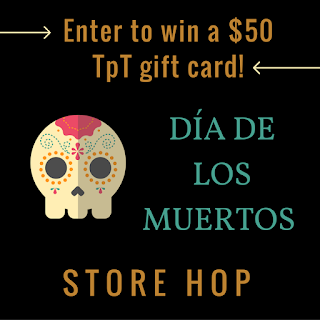 Just search "Día de los Muertos Store Hop" on TPT to find another store to start at. 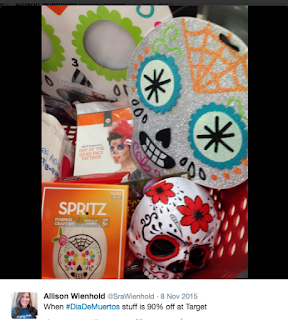 Do you still needs inspiration for plans for this week for Día de los Muertos? 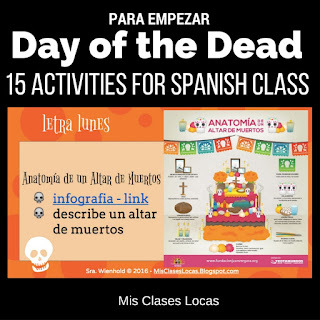 Para Empezar - Day of the dead - 15 short activities for Day of the Dead. 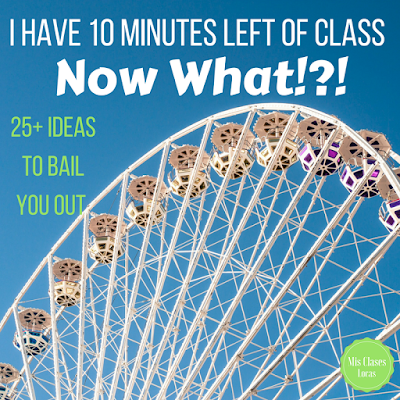 You can integrate what you have time for as class starters, brain breaks, or use them for entire class periods. 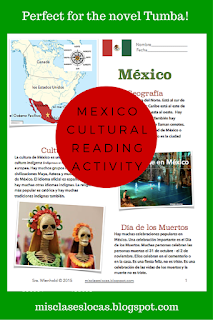 Cultural Reading: Mexico - including Geography & Day of the Dead - A one day reading activity for novice students to get some basic information about the holiday, as well as Mexico in general. Tumba - Presentational Writing Assessment - If you are teaching the novel Tumba this fall, I just posted a summative writing assessment to end the unit. See all posts about teaching with the novel here. **As a bonus during the shop hop, each day I will have a product on sale. Check back each day to see what is on sale! Make sure to follow this link & enter to win free spending money at TPT! Good luck! I was recently asked a great question by a reader about assessment. Libby's question was, "In your opinion, what makes for successful language assessment with novels?" 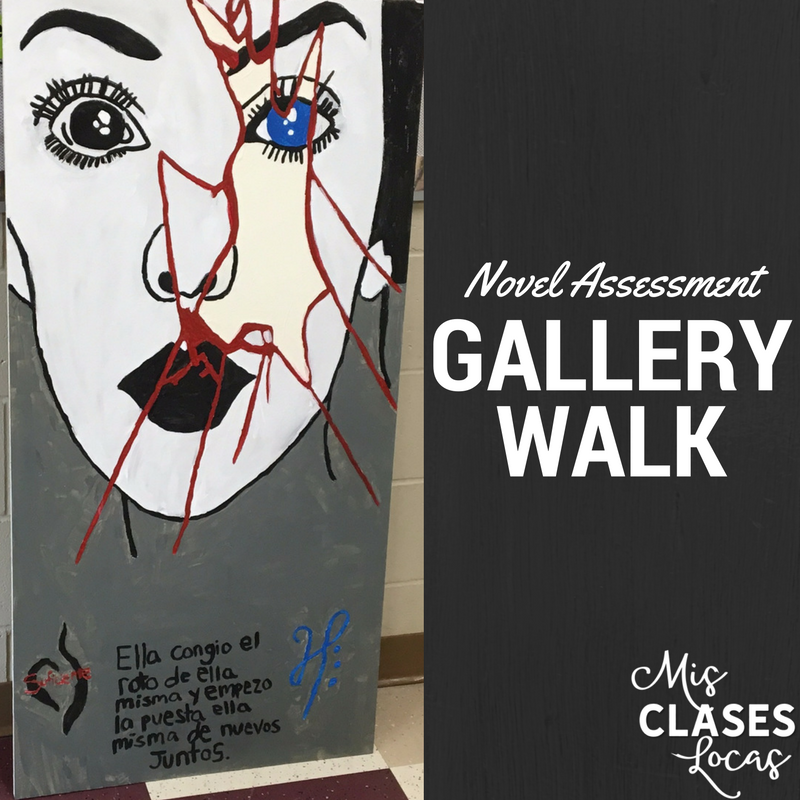 In my opinion, successful assessments of novel units allow students to show what they know about the novel, and the culture surrounding it. In my classes, these assessments are often performance based assessments, evaluated using a the language proficiency scale. Most often we will end a novel with both a presentational writing assessment, and an interpersonal speaking assessment. I like to keep these relatively open ended, giving students able opportunity to show what they know. This is opposed to having a typical test with multiple choice and true/false questions that sometimes try and trick students into second guessing what they actually know and remember. As a reminder, I am not an expert in teaching or assessing TPRS novels, just a teacher who is learning, growing, and figuring out what works and what does not for my students. Keeping that in mind here are some assessments that I have given at the conclusion of various novel units. - I randomly draw two students to come back to my desk at a time. It has to be random, because if two people who practiced together are assessed that is presentational, not interpersonal, since there is not any negotiation of meaning. They will have been given a prompt the week before, but it is usually something like ask and answer questions about the novel and unit. They may have authentic pictures as well on my desk to draw inspiration from. They come back without any notes, sit in the comfy chair, and I just listen to them talk for the allotted time. If needed, I may jump in to help lower level students keep the conversation going. They know that there is a proficiency level that they are trying to work towards, as I grade them using a performance based rubric. For example A-Intermediate Low, B-Novice High, C-Novice Mid, below that try again. Students are usually terrified for their first one, because it is so different from assessments in most classes, but then realize they would much rather have this an open ended assessment and consider it easy, "you just listen and talk in Spanish!" - The rest of the class has a list of tasks projected on the board that they should be working on quietly, so I can hear the assessments. This includes preparing to speak, preparing for the writing later in the week, free reading in Spanish silently, or working on choice homework. You may ask is it "fair" that some have more time to prepare to speak? I draw their book numbers randomly, so it is as fair as the lottery. They know to be ready on that day, and most would rather go right away to get it over with, so they can move on and do something else. - Due to most of my classes being under 20 students, I can usually get them all done in two days. If you have larger classes, you can record them and listen later. If we finish early, we may do extra preparation for the writing portion, such as a practice free write. The students will have been given some ideas in advance of big picture topics that may be given as prompts. Students normally complete them alone, with only a pencil and the prompt paper, and write as much as they can in Spanish. There are usually a couple prompts (that may have multiple options) that cover the big themes and cultural ideas from the novel unit. Once again, they are asked to show what they know, that they read the book and to apply it. Obviously depending on the proficiency level goal, the prompts will vary in difficulty from level to level. This student used an old ceiling tile to make this stunning art. Even better she used Spanish to describe the deep meaning and symbols included. My first time teaching La Calaca Alegre we did a presentational writing assessment and interpersonal speaking, but last year's class asked if we could do a project to end the year instead. I used the great idea from Carrie Toth in the teacher's guide to have a "Gallery Day." The students created projects that represented their identity, which was a main theme of the book. We then had a gallery walk day, where all projected were displayed in the room, each student explained their project, and everyone else will asked questions. 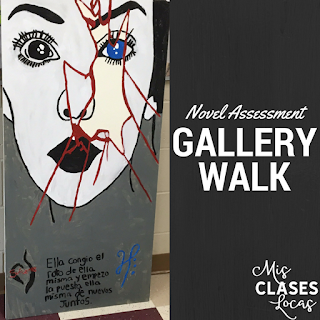 This combined both a presentational assessment (the students describing their project and how it related to the book) and interpersonal (students asking and answering questions during the gallery walk). To make it more fun you can have light snacks like an art gallery event on that day. The students liked doing something different, and we were able to have some pretty deep discussions about the students' art, identity, and the book. modified version of this Choice Board created by the author Kristy Placido. Choice boards allow a lot of possible differentiation, as well as give students control in how they show their learning. When completing these projects, I usually have a little show and tell day where students do a quickie presentation of what they did and then everyone can play the games that were created (since that is always a popular choice). 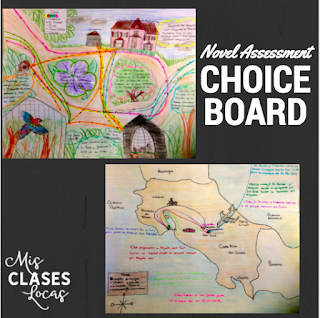 I have also used a choice board for the novel Esperanza. 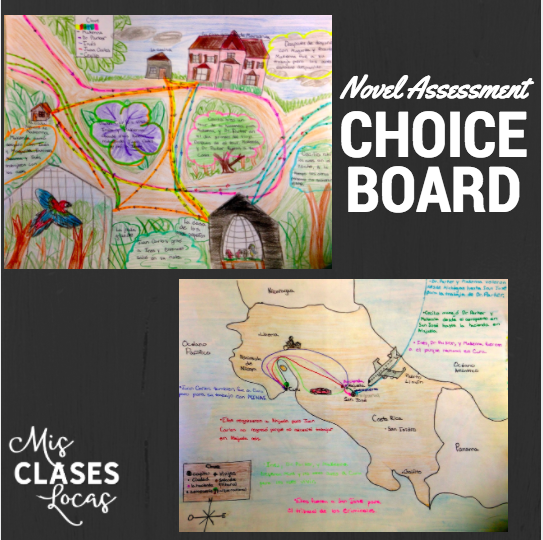 My first year teaching the novel we used an amazing choice board created by Sra. Dentlinger. At my particular school if you want high quality projects, you need to provide able class time, so to complete this you must have enough time for this particular assessment choice. 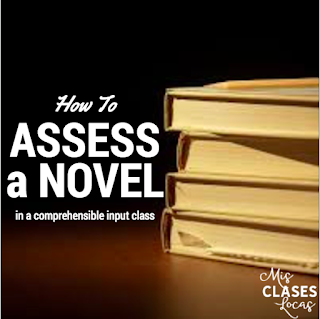 There are many true project based assessments that you could complete at the conclusion of a novel. I have seen many teachers work with their students to work on actual global issues and real world situation. 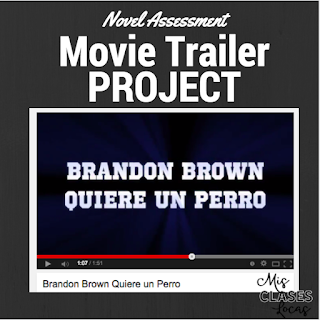 While I have not done anything that intense, one project that novice students have complete after reading Brandon Brown Quiere un Perro, was creating a movie trailer. You can see more information in this post. You have to remember that this novel is often read with level one students, so your projects need to reflect what a novice level learner can do. In the teacher's guide for La Llorona de Mazatlán, there is a traditional assessment included. This worked really well for a portion of an end of the semester exam when I did not have any time to make anything myself. It is unfortunate that such a quick turnaround is often needed for end of semester exams, since a traditional exam alone is a hard judge of a language performance level. I added a presentational writing component to the traditional test, which allowed students to reflect on the book and maybe make up for poor test taking skills in the other section. 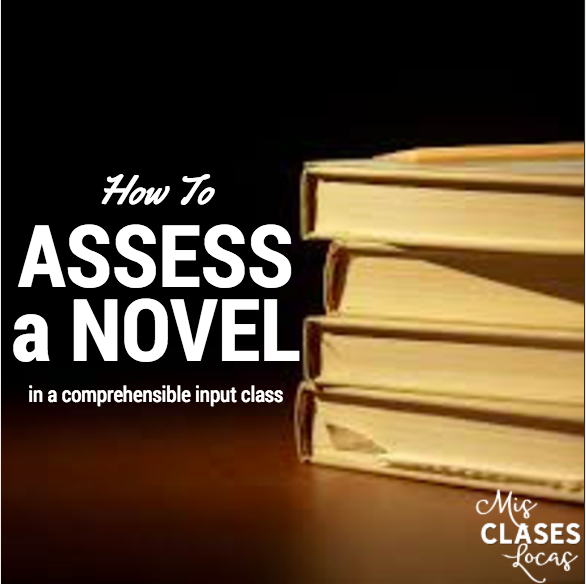 How to YOU assess novels? Please let me know in the comments! 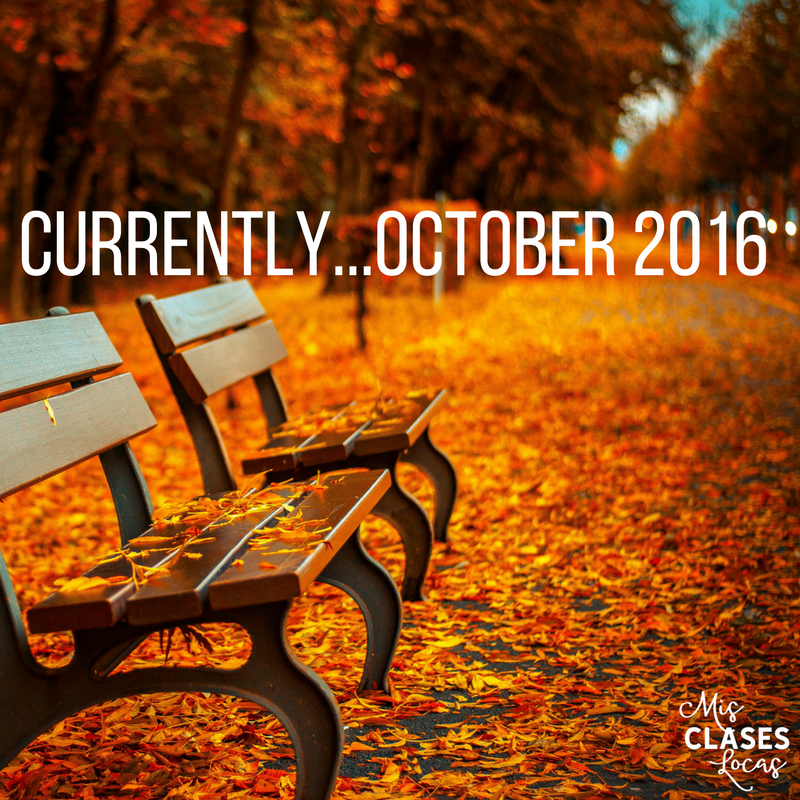 Thoughts, ramblings, and current favorites of a Spanish teacher. While on maternity leave I have been trying to do at least one blog post per week. This has even been a stretch for me since without being in the classroom, I am having a harder time coming up with content. This week my mind has been all over the place, so like I have seen some of my favorite bloggers do, I am going to share the ramblings that are on my mind. Time and place: 12:56pm in the basement. Baby boy is sleeping in the swing and the toddler is finally down for a nap after quite the struggle. With Halloween coming up, suddenly everything is "scary" and my usually awesome toddler sleeper was up twice last night afraid that something was in his room. That was in addition to the two middle of the night feedings with baby boy. This mama is looking forward to *someday* having a full, uninterrupted night of sleep. Next summer maybe? Loving: My new logos! After two and a half years with a blog I now have some official looking logos thanks to Rachel. If you follow me on social media you have seen my new look on Facebook, Instagram, Twitter and most impressive of all TPT. (I have joined the cool club with a rotating quote box, and it is really not as intimidating as it looks, just Google a how to). Planning: My return from maternity leave. I am down to T-2.5 weeks and am freaking out a bit that all that planning I was going to do all summer and fall never actually happened. But, maybe that is a good thing since my maternity leave comprehensible input sub plans were not followed and instead the old textbooks were brought out of storage. This means my prematurely shared Curriculum year 5 is going to have to get a full overhaul, as I start from scratch. The first week back is short with conferences and is going to be kind of a catch up with a lot of special person interviews, assessing where we are at, and figuring out where to go next. Then I hope to start a novel in each class with Tumba in Spanish 1, Fiesta Fatal in Spanish 2 and Vida y Muerte en la mara salvatrucha in Spanish 4. My 8th grade exploratory class is going to start with Sr. Wooly while I figure out what other fun stuff to do until Christmas as the other half of the grade got the pleasure of doing first chapter of the textbook things like numbers and the alphabet with the sub. Watching: This is Us. This new dramady gives you all the feels, while also bringing the laughs. If you like Nicolas Sparks books, this is for you. It is now on my regular schedule at 8pm CST Tuesday on NBC. Missing: My godmother. My aunt passed away very suddenly last week, shocking my entire family. (Her parents are both still living in their 90's). To celebrate her life, I took a 7 week old who had only ever been in the car for 30 minutes on a 9+ hour road trip to Cincinnati. Thank goodness I picked up my mom, step dad and sister along the way to chauffeur us in the mini van. Baby boy wins traveler of the year and did an amazing job. While the situation was unfortunate that brought us together, it was great to be able to spend time with so many family members and share some good laughs along with the tears. So, hug your loved ones tight, because you never know when they will leave you. Embracing: Iowa Fall. I have to say it is pretty awesome to be able to take an afternoon walk (with a double stroller) to check out the leaves in the crisp cool air. I have also drank my weight in hot apple cider (Try adding some pumpkin spice seasoning. It is a game changer). We already went to the pumpkin patch and on tonight's agenda is carving pumpkins. The toddler has been carrying around the orange plastic scooper from the carving kit all day practicing. 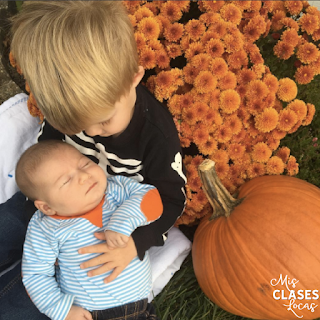 My pumpkins in an impromptu photo shoot today. That mum was planted this spring bright yellow, was dead all summer, and just came back orange. Celebrating: Winning the grand prize in the Multicultural Kids Blog Hispanic Heritage Month giveaway! It shows it is worth it to keep entering all those random contests, someday you may win. My little guys/students are going to love our new books, music and more. Appreciating: You! 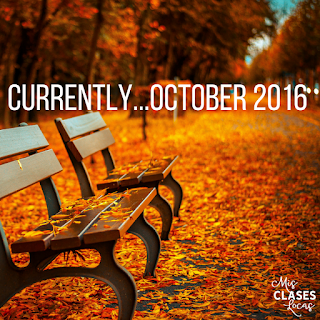 Thank you so much for reading along and joining me on this journey to learn and grow as a Spanish teacher. If you ever have an idea for a blog post, a question, or just want to say hi, please feel free to reach out. I am honored that some of the things I have shared have made their way into your classroom too. If this is the case, please share pictures, as I would love to see it in action! I have 10 minutes left of class, now what?! Recently I have seen a few people post about not knowing what to do with extra time left at the end of class. I feel you, because I have had quite a few of "those classes" that literally can not be given two minutes of free time or it becomes mass chaos. (*cough* middle schoolers *cough*) I also hate busy work or anything that both the students and I know is a waste of their time. So what do you do when that always super speedy class finishes what it took the other section the entire class period? Here are a few ideas for language class that will keep students busy, the teacher sane, and provide more language input. Now that it is officially October, here are some of my favorite resources from around the web to celebrate the Day of the Dead in Spanish class. This is one of my favorite holidays to teach about, since the students love the interesting culture. I always allow a full week to delve into the holiday all in Spanish. Everyone keeps posting all of their decorative finds in all kinds of stores, and I have to hold myself back and remember that I bought out the Target clearance section last fall after the holiday for 90% off!! (See below) Please add more great resources and ideas in the comments. 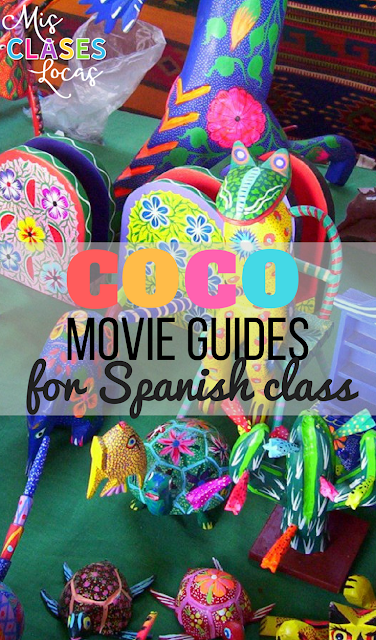 This guide for the movie Coco could be used with every level you teach. It has character descriptions and matching, versions in Spanish and English, as well as a post viewing questions and matching, which could be used as an assessment. I can use versions of this one guide with every since level I teach, Exploratory through Spanish 4. 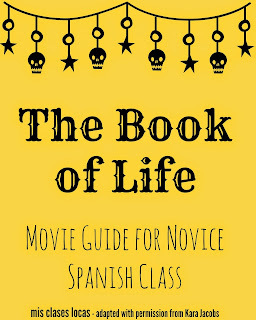 I made this novice level reading to go along with the novel Tumba. It would be a good reading to introduce a little bit about Mexico with a brief overview of the Day of the Dead. This guide is based from the amazing Kara Jacob's intermediate level guide. If you teach higher level students, her guide is perfect! I bought the movie in English online and show it in Spanish (with English subtitles in level 1). 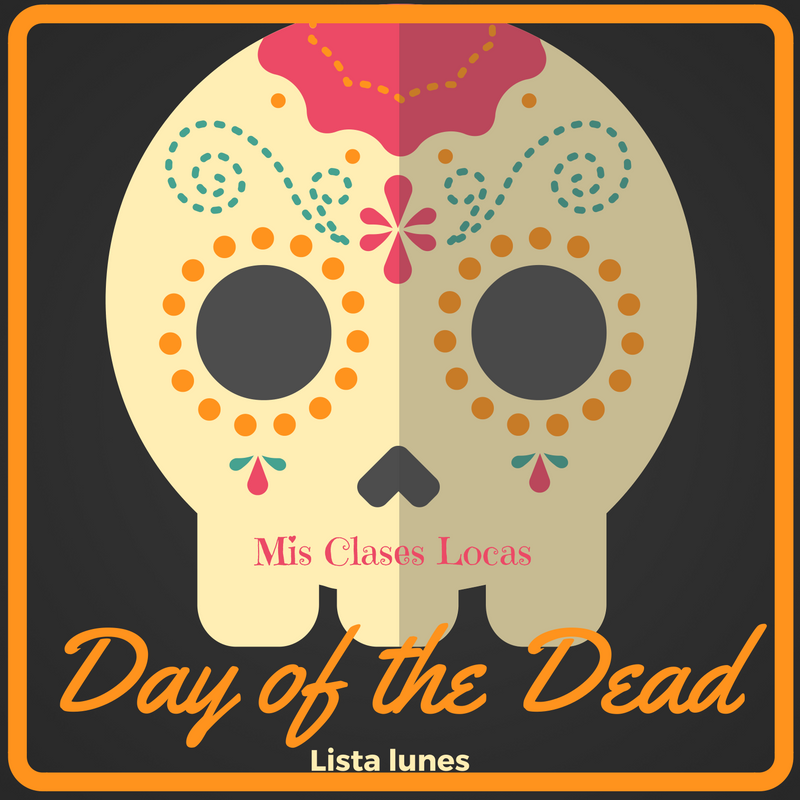 What are your favorite resources for the Day of the Dead?